The Eleazar Methodist Church and Cemetery is located in Monroe County, Tennessee, in the community of Mt. Vernon south of Madisonville and generally northwest of Tellico Plains. 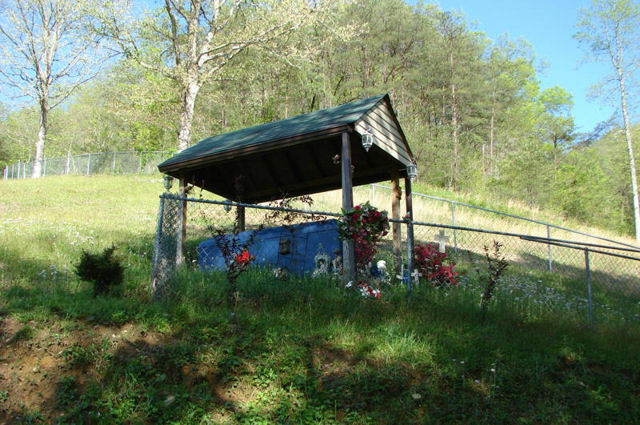 Specifically, the church and cemetery are situated about 1,000 feet east of Highway 68 and immediate west of County Road 740. 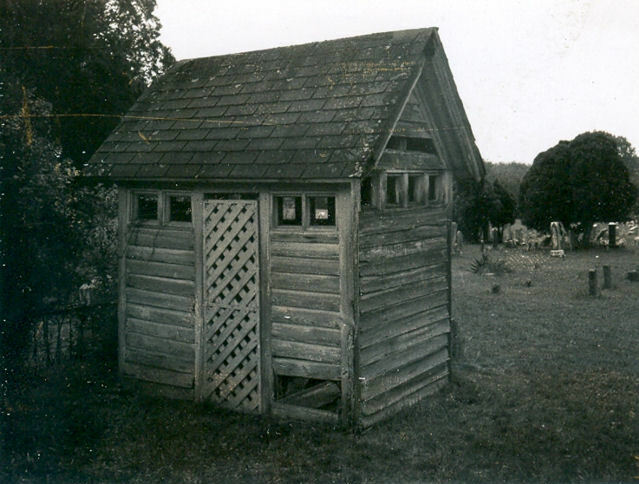 As recorded on May 4, 1975, this now demolished wooden gravehouse was oriented east-west and measured 7' 3" in length by 5' 2" in width with a maximum height of 9' 1". 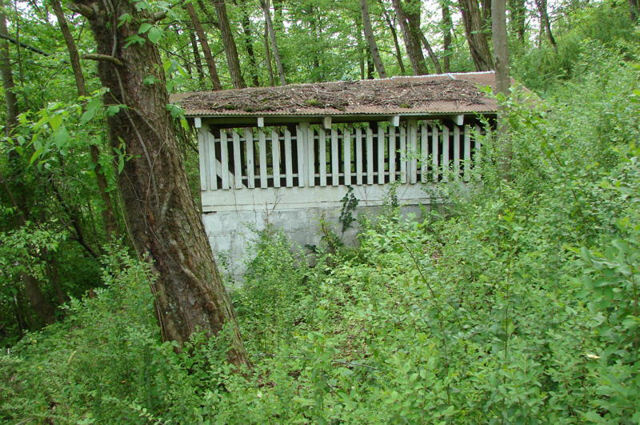 Covered with asphalt shingles, the structure’s gable roof exhibited a slope of 4' 11" and provided for an overhang of 8" on all four sides. The centrally located lattice door on the southern long axis wall stood 5' 2" high by 1' 9" wide. The small windows (which originally held glass panes) measured 8¼" high by 10" wide. Once painted white, the exterior walls were covered with siding of 5½" x ½" sawn lumber. Both the interior walls and ceiling were lined with tongue-and-groove paneling. Square nails were noted throughout the structure except for occasional round wire nails used in more recent repairs. The overall condition of the structure in 1975 was very good although the white paint was badly peeled in spots and some rot damage was evident. 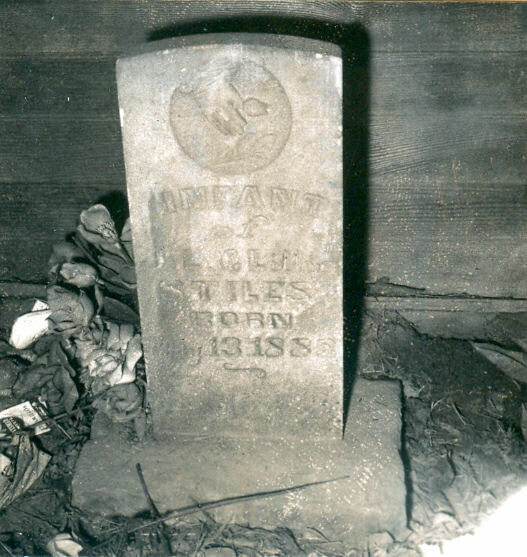 The structure contained a single east-facing grave marker situated adjacent to the western short axis wall. (Contributed by Donald B. Ball, Louisville, Kentucky). Thanks to Al Kelly & Bobby Poisson the "Grave Hounds"
for providing photo and cemetery information.